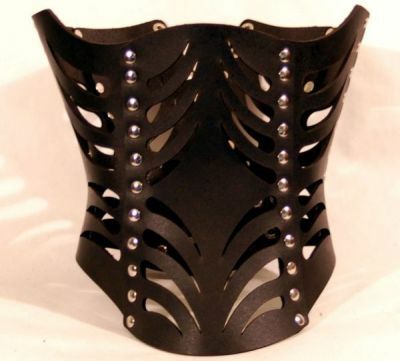 Made of hard black leather with a teasing cutout design. Try it with our matching slashed bra. We recommend ordering a corset size which is 4-6 inches less than the your natural waist measurement at the narrowest point, depending on how tight the you want it. For example, a customer with a 30” natural waist measurement would order between a 24”-26” corset.